20 images that feature intersections. Arranged in a self-invented structure comprising five modules of what I call the “Star Wheel”, linked together at “intersections”. Each module is kept in sculptural tension by a removable card. 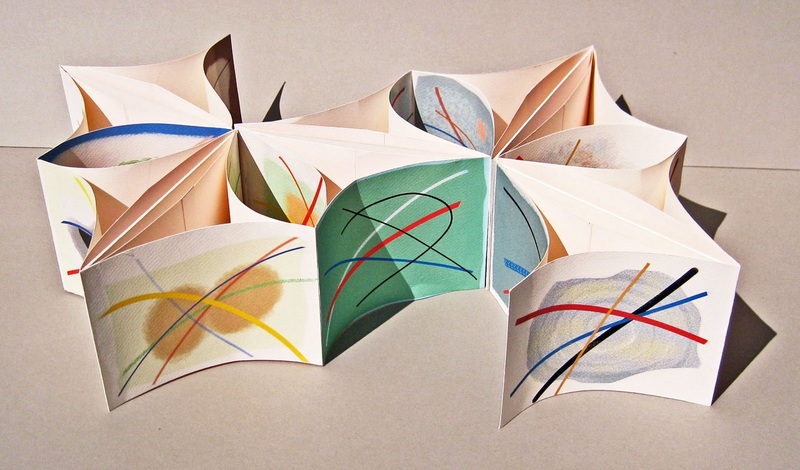 Take this out and the work folds flat into a concertina 28cm x 10.5cm. The five linked modules can be arranged in a variety of configurations.